Investigators have zeroed in on a weapon-buying binge Paddock went on in the year before the attack. IN THE DAYS and months before he mowed down concertgoers from his high-rise hotel suite, gunman Stephen Paddock booked rooms overlooking two other music festivals in Las Vegas and Chicago, authorities said. His movements raised the possibility he was contemplating attacks at those sites. The details emerged as investigators struggled for a fourth day to explain what led the 64-year-old high-stakes gambler to open fire on an open-air country music festival from the 32nd floor of the Mandalay Bay hotel casino on Sunday night. He killed 58 people and injured nearly 500 before taking his own life. Authorities have been trying to reconstruct Paddock’s movements leading up to the deadliest mass shooting in modern US history. In early August, Paddock booked a room at Chicago’s 21-story Blackstone Hotel that overlooked the park where the Lollapalooza music festival was being held, a law enforcement official said today. The official said no evidence has been found that Paddock ever came to Chicago that weekend. Lollapalooza draws hundreds of thousands of music fans every year to Grant Park. The official was not authorised to discuss the case publicly and spoke on condition of anonymity after being briefed on the investigation. Paddock’s booking of the hotel room was first reported by TMZ. Also, the weekend before the Las Vegas bloodbath, Paddock rented via Airbnb — and checked into — a condo in a 21-story luxury building in Las Vegas that overlooked the Life is Beautiful alternative music festival, Sheriff Joseph Lombardo said on Tuesday. Lombardo gave no details on what Paddock was up to. The music festival featured Chance the Rapper, Muse, Lorde and Blink-182. Paddock’s renting of the condo was curious, because as a high-roller, he could have easily gotten a free room at one of the casino hotels on the Las Vegas Strip. 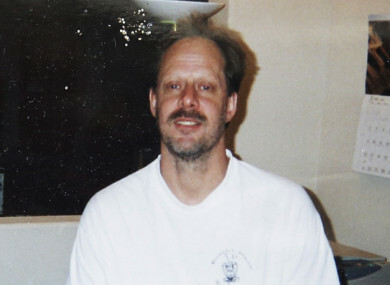 When Paddock checked into the Mandalay Bay on 28 September he requested an upper-floor room with a view of the Route 91 Harvest music festival, according to a person who has seen hotel records turned over to investigators and spoke on condition of anonymity. Investigators trying to establish the motive for the attack have had little more to chase than hints and shadows. While other mass killers have left a trail of plain-sight clues that helped investigators quickly understand what drove them to violence, Paddock led a low-key, private life. He had no known criminal record and almost no close friends or social media presence. The No. 2 official in the FBI said yesterday that he was surprised investigators had not uncovered more. Investigators have zeroed in on a weapon-buying binge Paddock went on in the year before the attack. They wonder if he had some sort of mental break at the time that drove him to start making plans for mass murder. They are also looking at his gambling habits and checking records for any disputes he might have had with casinos or fellow patrons. Yesterday, FBI agents trying to understand his state of mind questioned his girlfriend, 62-year-old Marilou Danley, who was out of the country during the attack. She was visiting her native Philippines. She said she had no inkling of his murderous plans. “He never said anything to me or took any action that I was aware of that I understood in any way to be a warning that something horrible like this was going to happen,” she said in a statement read by her lawyer. Email “Hotel gunman previously booked rooms overlooking two other concerts in Las Vegas and Chicago”. Feedback on “Hotel gunman previously booked rooms overlooking two other concerts in Las Vegas and Chicago”.